Liked that it's in the center of everything, and right in front of the Bellagio! The restaurant is out this world, food and service and the view, is breathtaking!!! Cons - Waited in line for over 40 min to check in... rug in Casino need updated. Pros - Staff where friendly, room was nice, sceneries was amazing! The room was worn and in need of an upgrade. Inadequate power outlets for essentials including phone chargers and computer. Stain in the bathtub was alarming!! Everything was great except for.... parking costed is 24.00. And the buffet was terrible! It was a pricey buffet.... 35.00 a person ( for Vegas) and the food was either empty, messy and picked over ( mostly empty shells of crab) . The crepe guy acted put out to make me a crepe and there were barely any dishes left. Maybe we came after a big crowd but it was poor. The staff was very nice. The room view was tremendous. The staff was friendly and helpful. Love the food venues. Love the layout. A more modern sportsbook would be cool. Located in Las Vegas Strip, Paris Las Vegas Resort & Casino is adjacent to Miracle Mile Shops and within a 10-minute walk of other popular attractions like Flamingo Wildlife Habitat. This 4-star resort has a full-service spa, a casino, and 13 restaurants. This resort is home to 13 onsite restaurants, perfect for a quick bite to eat. Savor a meal from the privacy of your room with 24-hour room service, or get a pick-me-up at the coffee shop/café. Buffet breakfast is offered for a fee each morning from 7 AM to 1 PM. Guests can expect to find WiFi. The bathroom offers hair dryers and designer toiletries. Other standard amenities include a refrigerator, a safe, and a phone. 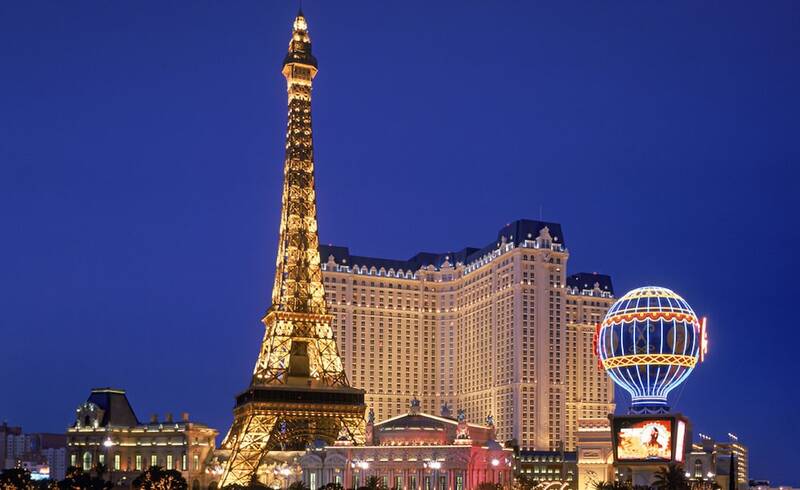 Guests of Paris Las Vegas Resort & Casino have access to a full-service spa, a casino, and a nightclub. Parking is available for USD 12 per day (USD 20 per day for valet parking), and there's also limo/town car service. The 24-hour front desk has multilingual staff ready to assist with tours or tickets, securing valuables, and dry cleaning/laundry. Other amenities at this spa resort include an outdoor pool, a fitness center, and a spa tub. Buffet breakfast is served daily from 7 AM to 1 PM for a fee. The resort has an outdoor pool and a spa tub. A sauna and a fitness center are other recreation options. Paris Las Vegas Resort & Casino caters to gay and/or lesbian guests.